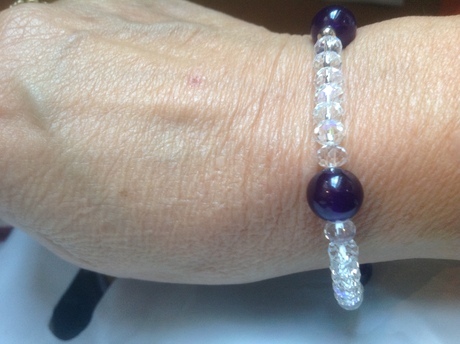 This is a beautiful crystal and Amythest stretchy bracelet. Sparkles. Handmade. Comes in a box.